When printing an invoice, statement, and or superbill a client's preferred name will not print. TheraNest allows for you to set a client's preferred name and it appears throughout the system and majority of client facing documentation. The one place it must be manually changed is on the Bill to & Insurance info tab of the client's record. This is because when billing for insurance the legal name must be used. Also, some people have 3rd parties such as grandparents, churches, or other institutions paying for treatment. To change the name and information that prints on Invoices, Statements, and or Superbills follow the steps below. 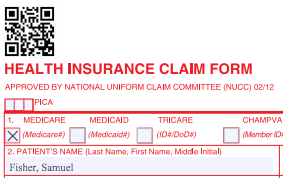 Insurance claim forms will always reflect the client's legal name, even if the Bill To & Insurance Info tab is adjusted to reflect a preferred name.